Enjoy stories, songs, dancing and more with Miss Allison! For children aged 12-23 months and their caregivers. Siblings welcome. No pre-registration is required; just pick up a ticket at the desk before the program begins to help us prevent overcrowding. Please note that our 9:30 session often fills to capacity. 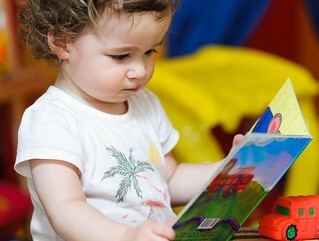 If your child prefers a quieter atmosphere, you may wish to try our 11:00 session. We have lots of fun in both!